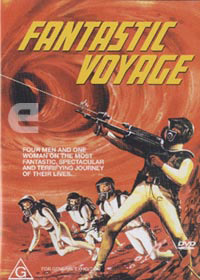 In the 1966 science fiction movie Fantastic Voyage, researchers miniaturize a delivery mechanism and inject it into a human body. In a modern day sequel, Harvard Medical School researchers have used injectable self-assembling peptide nanofibers loaded with the pro-survival factor PDGF-BB to protect rat hearts from injury and subsequent heart failure. Their study will appear in the January 2006 issue of the Journal of Clinical Investigation. Narrowed or blocked blood vessels are unable to deliver sufficient levels of oxygen to cardiomyocytes, which results in cardiomyocyte death, loss of the middle layer of the heart wall (the myocardium), and ultimately, heart failure. Therefore, therapies that protect cardiomyocytes from death may help prevent heart failure. In the current study, Richard Lee and colleagues show that PDGF-BB has a direct pro-survival effect on cardiomyocytes. The authors went on to design a strategy in which short, self-assembling peptide nanofibers bind this pro-survival growth factor and, following injection into rat myocardium, facilitated prolonged and controlled delivery of PDGF-BB to the infarcted heart for up to 14 days. This strategy protected cardiomyocytes from injury, reduced infarct size, and preserved cardiac function. This effect could not be achieved by injecting nanofibers or PDGF-BB alone. In a previous paper, Dr. Lee and his team demonstrated that self-assembling peptide nanofibers can be injected, and that the resulting nanofiber microenvironment can be seen. If you are interested in this topic, you might also be interested in an Artist's View Of Medical Nanorobots. Read more at ZDNet, the press release, and Molecular Cardiology. And thanks to Fred Kiesche for pointing this one out.